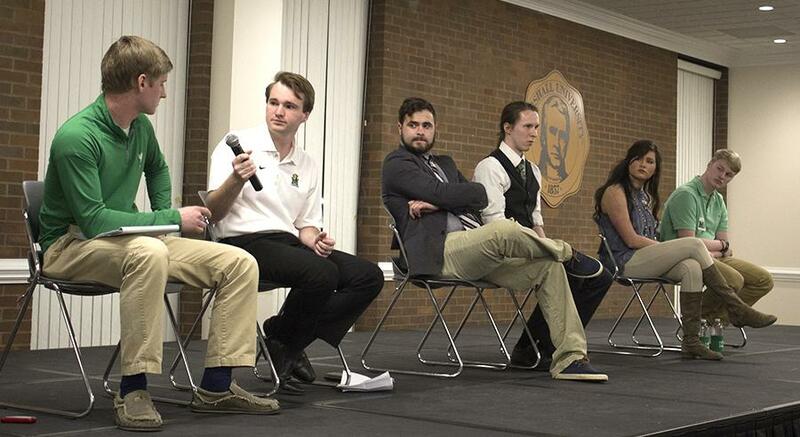 SGA candidates answer questions during a debate on March 7, 2016. Leif Olson, SGA presidential candidate. Leif Olson is a philosophy and biology double major running for the office of student body president. Currently, Olson is in Alpha Chi Sigma and has been involved with eight organizations at Marshall, four of which he has been president of. 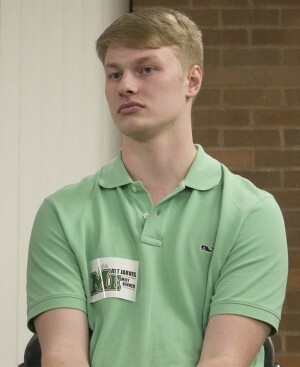 Olson was inspired to run for student body president after last month’s failed SGA resolution to condemn the Religious Freedom and Reformation Act. 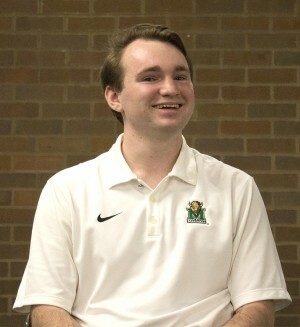 Olson’s campaign is focused on providing the funding necessary for events and activities offered by Marshall organizations. Additionally, Olson wants to foster a more positive and involved atmosphere in the Marshall community. What do you want the student body to know about you, personally? Because I care. I’m not running for this position to use it as a steppingstone or to make it into a thing to build my resume upon. It’s not about me. It’s more important about what we can do together as students. Was there something specific that inspired you to run? The Parthenon inspired me to run. The RHRA thing where senators aren’t adequately representing their constituents. Where people aren’t going and talking to people in their colleges. They talk about these dean meetings, but they couldn’t even list one at the debate, but that’s a dean. That’s not a student. We should have town hall meetings where people can go and actually ask questions. I’m ready for this. We need to realize what student government does matters, because they’re the people that approve of student organization funding. They’re the people who are supposed to be paying attention to student wants and needs and it’s bothersome that they couldn’t read between the lines of a bill and realize that it was intended to discriminate against students. If the bill had passed 50 years ago, a lot of people wouldn’t be here. It’s not okay. 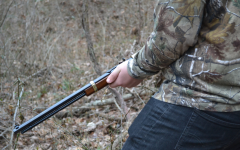 We’re the only West Virginia student body that didn’t come out against it. What plans do you have if you are elected? Izzy Rogner’s bus system. It’s going to revolutionize what it means to be a student here. When people started having class in Pullman, there needed to be a way for on-campus students to get there and still come back to class in a safe manner. Even if you don’t vote for us, vote for that. Also, whenever student organizations come in to file for funding, I want to make certain that each one of them fills out a W-9 so that all of them know how to get funding for their respective organizations. What do you believe is the biggest issue that Marshall University is facing and how do you plan to combat it? The most obvious thing would be budget cuts, but I honestly don’t think that’s too horrific. Generally speaking, I’m going to fight against everything that cuts a means of access to student resources. I don’t like defunding programs. Who is your vice president and why did you choose them? Collin Stipetich is my VP and I chose him because he came recommended from a lot of people I really respect a lot. He was ready. He wanted to do it. He was part of the Parlock campaign last year. His character means more to me than any voting block that could come from whatever groups he’s a part of. Is there anything I haven’t asked that you believe the student body should know? What you do at Marshall matters. The people you meet and the connections you make, they matter. And any way that you can better facilitate people doing that in that capacity is good. It’s important. It matters and that’s why you should be involved. Matt Jarvis, SGA presidential candidate. 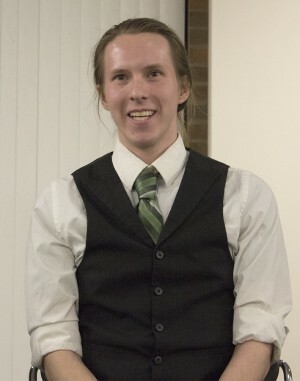 Matt Jarvis is a computer science major vying for the office of student body president. According to Jarvis, his whole family has gone to Marshall, which inspired him to get involved on campus. Jarvis said he joined SGA early in his college career and has since joined both social and academic fraternities. In SGA, Jarvis worked his way up from a senate apprentice to co-chair of finance. Jarvis’s campaign is encouraging students to have pride in their university as sons and daughters of Marshall. With his platform, Jarvis aims to reduce the negativity on campus. According to Jarvis, losing funding does not mean our character and integrity have to go with it. I just want them to know that I’m here for them. I’m a student at Marshall. I pay the same tuition everyone else does. I think right now, being the only person in SGA who’s running for this, I think Emily and I are inheriting a lot of problems from the past that have been associated with SGA. But we’re just kind of trying to handle this in the best way that we see fit. We’re trying to solve the problems that we see, that we hear, that the students give to us. A lot of times, people have really talked to us about, like “You know, you’re really gunning for these equal opportunities on campus. Why is that?” I’ve personally been discriminated against for my sexual orientation on campus. Obviously, that’s something that hits home to me. It was really just seeing all the negativity on campus and maybe realizing that, if we could do anything, it would be to make everyone feel a little bit better about where they chose as their school, where the tuition money is going to, the student organizations they’re in and just how they’re feeling day to day. First and foremost, what we want to do is just really get back in touch with the student body. We want everyone to know on this campus what’s happening within the office, what’s happening within our medias. Shortly after that, we’re going to start attacking the platforms. I think, unlike most, every single platform, every single idea, every single thing we’re trying to do, we’ve already had the opportunity to discuss with the people we would have to talk to achieve those. What do you believe is the biggest issue that Marshall is facing and how do you plan to combat it? The overarching issue throughout this entire campaign is going to be the budget cuts and that’s not going to be easy to fix. For the administration, the easiest way to fix it is to cut funding and raise tuition. That also happens to be the worst thing for students. Coming from an economic and finance background, I have a strong understanding of how money works and where it’s supposed to go. I’m also a very vocal person, so I’ll have no problem expressing those opinions and expressing the ideas of where students feel the money should go. Emily Kinner. She’s a double major in broadcast journalism and political science. She’s obviously a very good friend, but she shares the same passion for the university as I do. We do things completely differently, but I think we both acknowledge that we can really pull off of each others’ strengths and weaknesses. I work with every student organization on campus. From the ones that have 50 plus members to the ones that have three. If they come in and they’re asking how to apply for funding or different things they can fund for, I sit down with those organizations and I see what is the best possible way we can give you the most money. How can we help you? We have all this money here for a reason. We want to give it back to you. Nate Miklas, SGA presidential candidate. 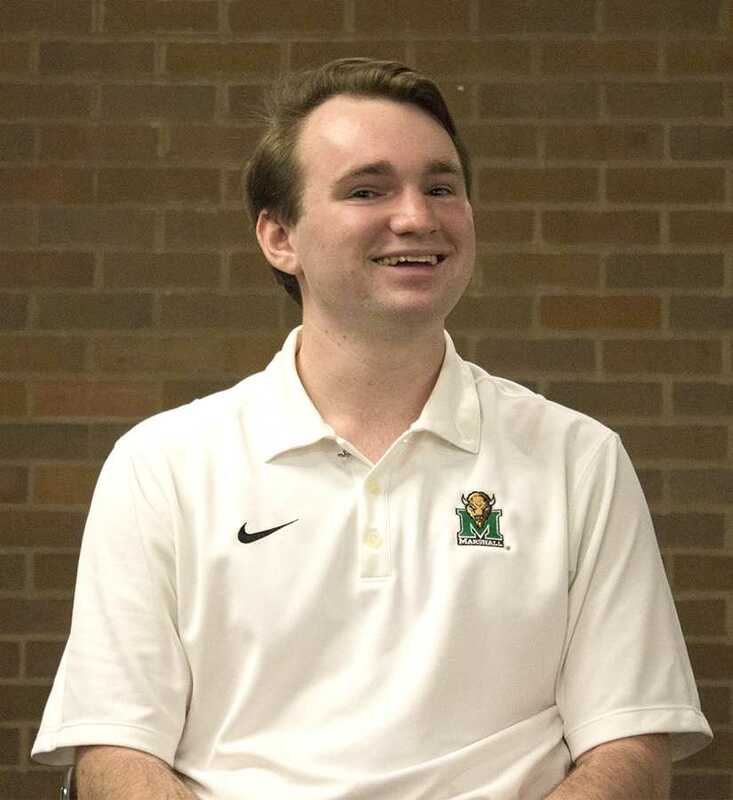 Nate Miklas is a computer science major competing for the office of student body president. Miklas said he wants SGA to have more attainable goals and believes that community service would be a good starting point. Miklas said that his goal is to influence SGA to have a greater impact on the university and community. According to Miklas, he decided to run for the position after being disappointed in last year’s election, which he said was more of a popularity contest than people voting ideas. Miklas said that he doesn’t have a lot of experience with SGA, but thought that running for office would be a fun experience. I guess I just want them to know that I’m an honest person. I just mainly want to get things done and I don’t want there to be any drama about it like there has been, I think. Yeah, last year’s election. I had a friend who ran and I wasn’t really happy with the election process. I thought it was more of a popularity contest than people voting ideas. I think we would have had a different president if people were voting on ideas. And, again, I’d like to be able to give SGA more things to do. That’s what inspired me and I think I can. First thing we’ll do is finish the bus system if that doesn’t get done, because I am a really big fan of the idea. And the second thing we’ll do is pretty much just stay normal and then implement our community service ideas and then go from there. And I know the actual Marshall president would get behind that because he’s big on community service, too. The biggest issue I’ve noticed is from the budget cuts where groups are getting their programs cut and it’s becoming harder for students to start up clubs and stuff and get funding for that. That’s one issue we’ve noticed. Amos Parlock is my VP. He’s my best friend here at Marshall and he’s come up with so many ideas. He’s also a really strong leader. Like he mentioned at the debate, he’s an Eagle Scout and all that stuff, so I think he’d be good to have on the team. If you’re in SGA, you’re there to help. We think, with our community service platform, it’s the easiest and most efficient way to help out. Like I said, that’s not the only thing we’re going to do. That’s just the main idea right now and we’re going to go from there. We just want to help out Huntington because we love Marshall and Huntington.